[temporal] is a computer-generated audio-visual work that reflects on temporality, non-linearity, and duration through relational structures. These structures explore the relationships between sound and video, data and algorithm, perception and cognition, as well as the relationality of systems and networks. 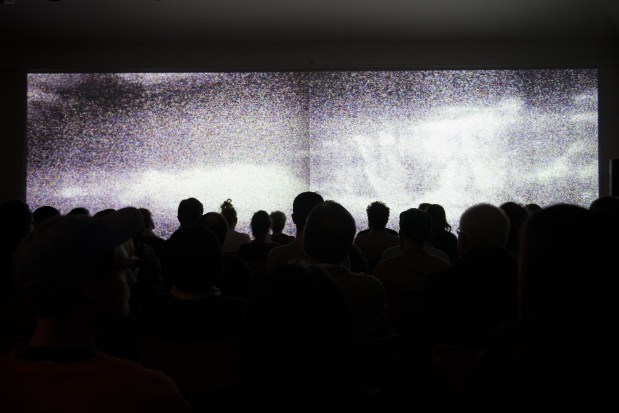 This is achieved through the development of software that recursively manipulates data by translating sound into video and vice versa, using data as signal and control information. The data used in [temporal] includes that describing sleeping brain activity, public transport networks, surveillance systems and algorithmic simulation of orbital systems. 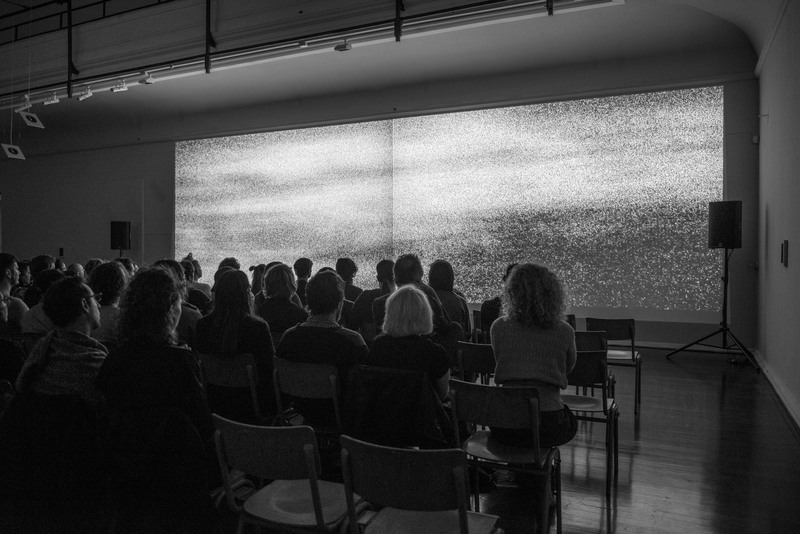 The work utilises evocative, physical and (at times) disorientating sound and video to explore an Einsteinian conception of gravitation – the mass and arrangement of all entities influencing how each entity moves through both time and space. [temporal] carves its own path in non-linear spacetime, demonstrating how movement and perception is constantly being altered due to the object’s fluctuating mass. [temporal] looks at computer simulations and networks of particles as simulacra for atomic, biological, ecological and social systems. 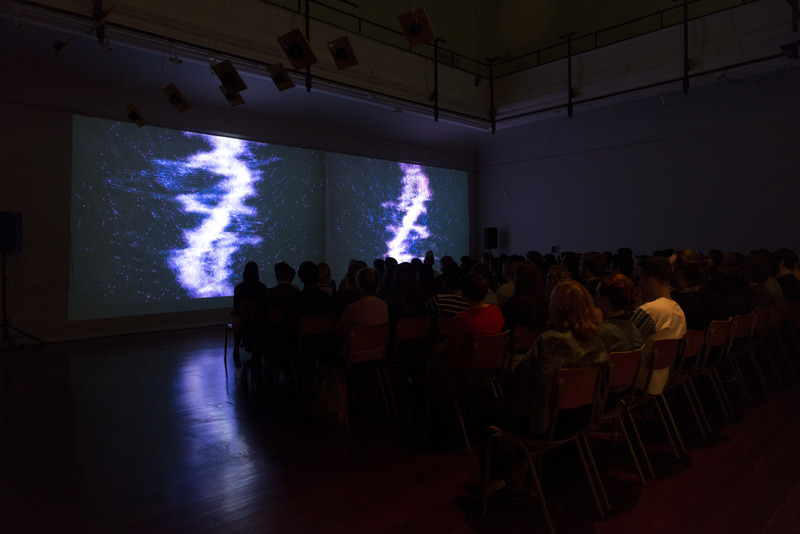 The work is constructed from multiple interconnected scenes that create dynamic contrasts between the relational structures of sound and image – using shape, scale, brightness and volume to generate an abstract, sensory experience of data and algorithm. The scenes shift in scale on a spectrum between the atomic and universal. 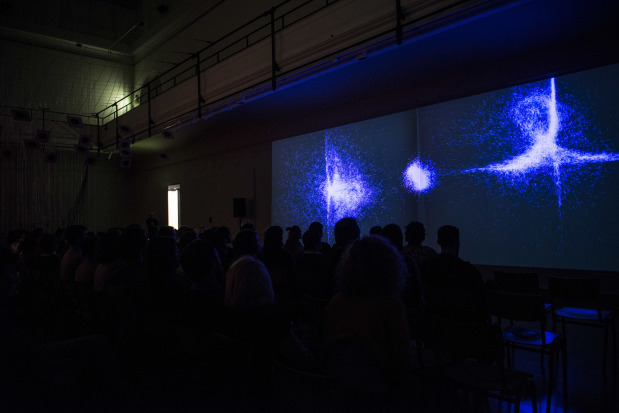 The work attempts to create a sense of conjunctive correlations between the conceptual material, real-world data, computer-processing and found material through a synaesthetic melding of sound, image and space.